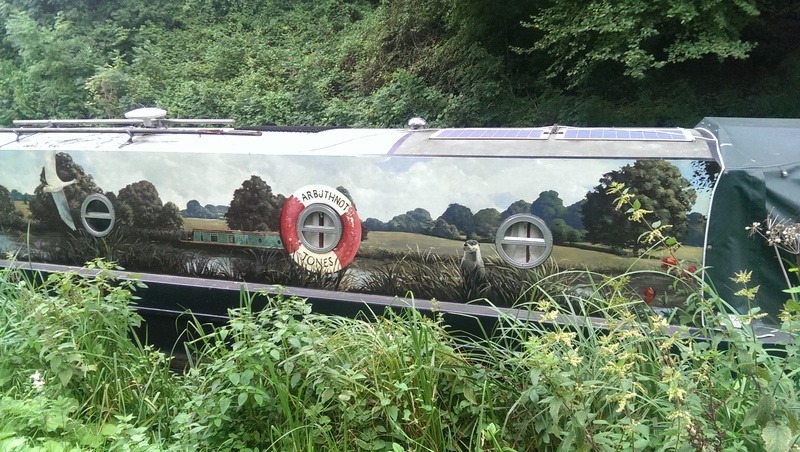 It’s been a while since I last blogged…7 weeks in fact! You’d be forgiven for thinking that may be because I haven’t been doing anything worth sharing, but actually it’s quite the opposite. I’ve done a lot, and I mean a LOT in the last month or two that I’m very proud of, but I’ve been doing so much running, TOO much running, that I haven’t wanted to sit and think about it once the trainers are off and the miles logged. So here we are with a lot to catch up on, I’ve missed you, I hope the feeling is mutual. There’s so much to share, going back weeks, but I’m going to start with where I ran just a few days ago. After a long period of intense training, studying times and distances and being totally focused on outcomes, it was nice on Friday just to go out and do a run for fun, for me, for the hell of it. 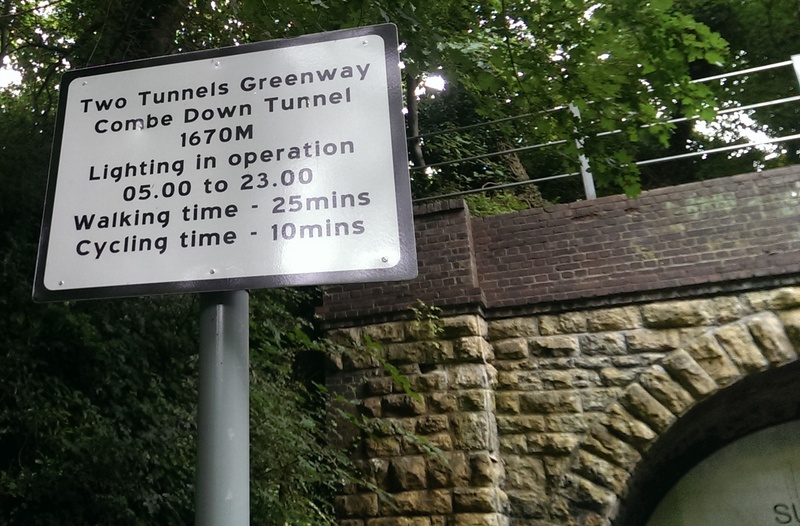 I’d heard about the Two Tunnels route from friends who ran it recently. 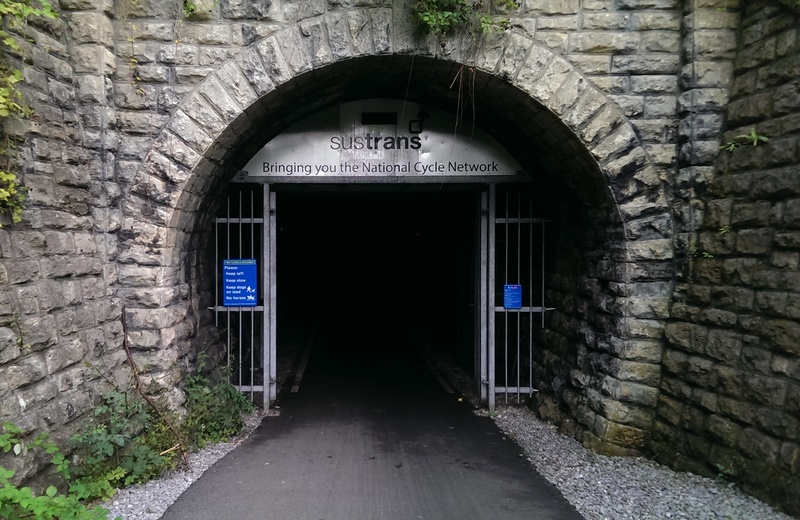 Part of the Sustrans network it is a shared use path that stretches out from the centre of Bath and includes two tunnels (hence the name!) which run for over a mile. That’s just the start of the entertainment though, if you follow the full loop you take in rustic villages, canal towpaths, an incredible weir; in fact this run will go down as one of the most scenic and entertaining I’ve ever done. The tunnels are quite incredible. They’re lit, but subtly so you know you’re underground, and the echoes of your footfall and ragged breath are a fantastic soundtrack to your running. The aural entertainment doesn’t stop there though, in the middle of the longer tunnel a section provides background music from recessed speakers, the haunting strings and electro beats accompanied by a miniature light show. It really is an experience! 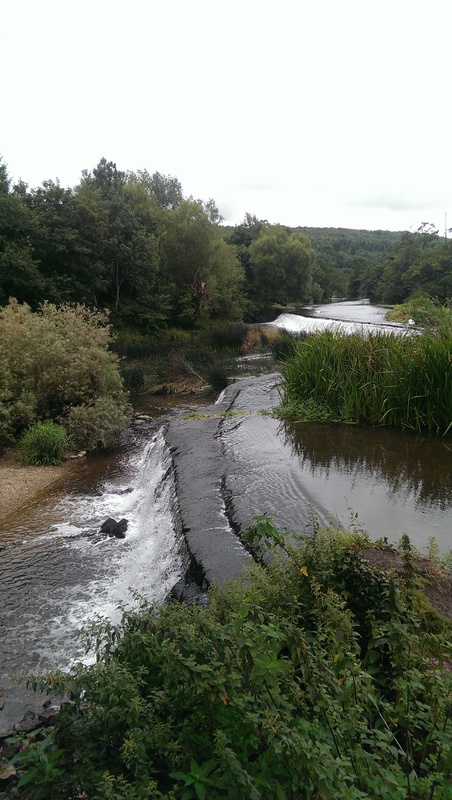 Once back above ground there’s a mile or two to enjoy past a lake, through a village and down a country path before you reach the Dundas Aqueduct and the start of the canal section of the run. 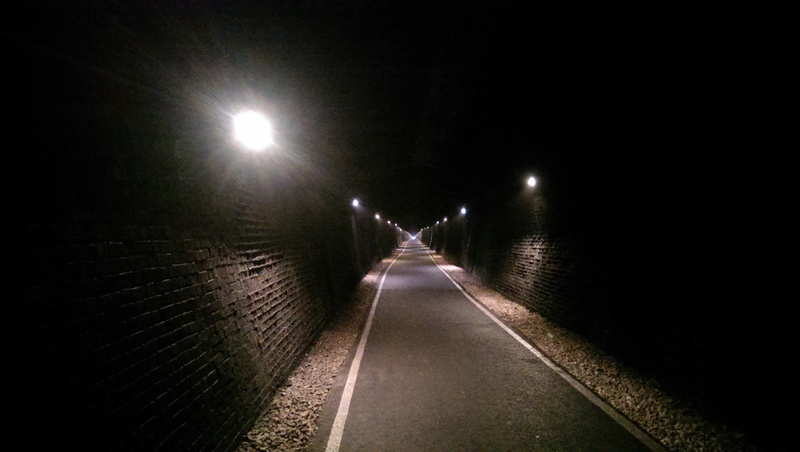 Where the novelty of the tunnels is over, the beauty of the canal is a worthy replacement. I have no idea how far the route was as I didn’t wear a watch, partly so I could relax and enjoy it and partly because I knew I’d be underground for a while and my Garmin barely works in perfect conditions as it is! 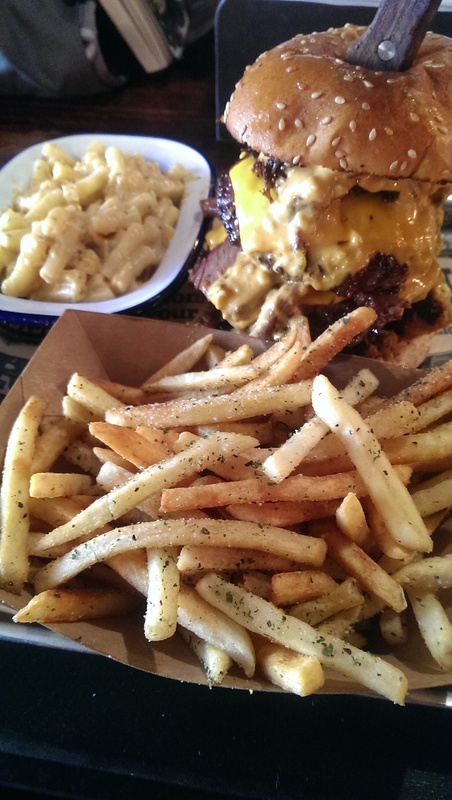 What I do know is that the run ends at the train station ready to head home…which also happens to be where Grillstock Bath is located, my favourite post-run treat! 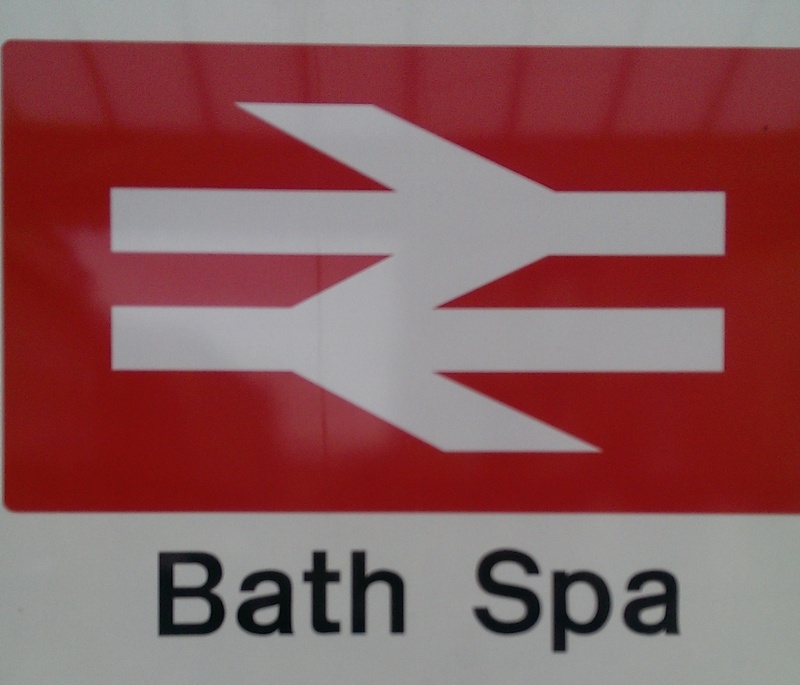 This entry was posted in Adventure, Running, Running and tagged Bath, Canal, Dundas, exercise, fitness, Grillstock, outdoor fitness, running, Sustrans, Swimming, training, Two Tunnels, Warleigh Weir. Bookmark the permalink.